The cost of providing funeral services to the community in today's society is quite expensive. 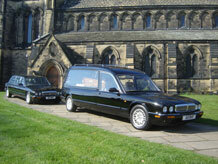 A great deal of the costs and charges are totally out of the funeral directors control. However our clients are pleasantly reassured not only by the high standard of service we provide, but also by how reasonable our costs are for the level of service provided. It has always been our policy to show families a printed price list, itemising all our charges. We are always prepared to discuss our costs in detail. It should not be a matter of embarrassment for any family to discuss costs when making funeral arrangements. 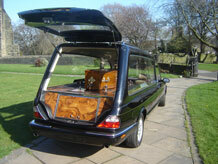 We know we have the ability and skills to tailor a funeral to meet individual requirements and budgets. When we have discussed your requirements, we will advise you on all costs and charges to be incurred, culminating in a full written quote that should be agreed so that you feel confident with the funeral commitment you have made. 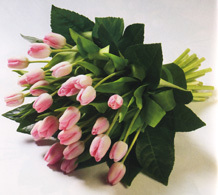 We are very open with our costs and charges and always have a range of dignified funerals available from the very simplest of arrangements to the most lavish of funerals. Our costs and charges are based on the average cost of a funeral provided by an independent funeral director and we believe our charges to be one of the lowest in the district. We also guarantee that the quality and level of service you receive from us will far surpass our competitors who charge substantially more than our standard fees. Being independent we have flexibility in our charges and we are always prepared to tailor a funeral to your personal budget and guarantee that our fees will be the lowest for a comparable service. Please contact us directly for a written quote, help and friendly advice. The funeral account will be divided into two separate parts, the funeral directors charges and the disbursements. 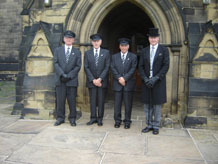 The funeral directors charges contain our professional fees and overhead costs, which include our professional attention throughout the arrangements, including the arrangements interview, use of our private chapel of rest, care and preparation of the deceased, administration, conducting the funeral, provision of all the necessary staff and providing a 24 hour service. Payment of the funeral directors fees is to be made within 30 days of the funeral account, however should you wish to pay these fees in advance with the disbursements a substantial discount is available. Our written estimate will detail the cost of any disbursements, however you will appreciate that we will have no direct control over these charges and they could be subject to slight variations. These costs can then be settled by one single payment, rather than by many different payments from the estate. Disbursements to third parties are paid out in advance and we will require payment of the disbursements prior to the funeral arrangements being conducted.